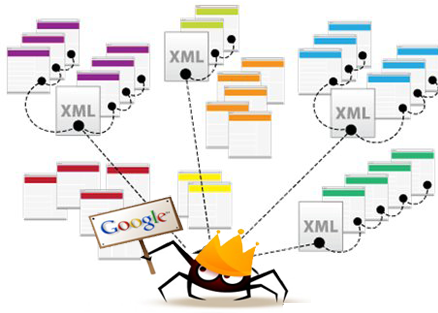 Google and other search engines use automated software, known as robots or spiders, to regularly crawl the Internet. These robots and spiders detect new websites as well as new updates on existing websites. Information is then be sent back to the search engine (ie. Google) for processing and filing (also called as indexing). When a person performs an online search, Google (or Bing, Yahoo etc depending on the search engine you are using to make the search) will look through its searchable index and returns results that are relevant to the searcher’s query. The results are ranked based on the popularity and value of the websites. The value of a website is determined by many factors, including keywords on the website, relevancy of the content, frequency of content update, quality of links on the website, social factors (such as number of Facebook Likes or Shares), and more. Unfortunately, no one knows the exact formula (or algorithm) that Google and other search engines use for determining the value of a website and it is something google is constantly changing. That's why it' s important to seek the help of experts who do this sort of work regularly to get your website ranking better in the search engines. If you need help or advice give us a call!